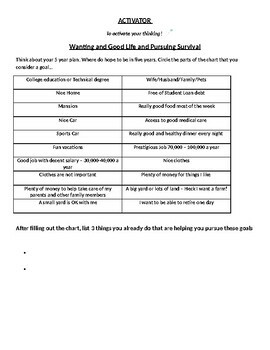 Use this simple activity to introduce students to the concept of the American Dream by asking them to access their own understanding of their own goals for their futures. A great exercise for any Social Studies Classroom. I use this activity in American II to begin our understanding of expansion west.